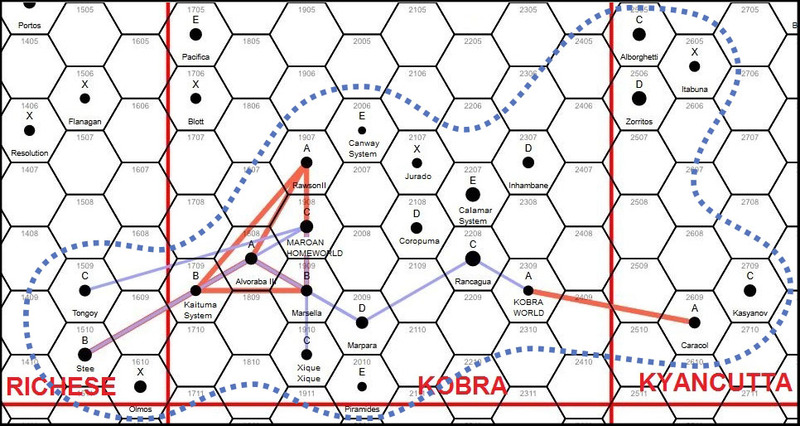 Okay, so here is a map of the Kobra Worlds Alliance, stretching across three subsectors. Its basically a mini-polity in thrall to the trillion-population planet Kobra World. I have finished all the info on the map yet (naval bases, GG, etc) but will soon but I hope you enjoy the preview!